In India, a doctor is on the phone with Gita, a 39-year-old woman suffering from pain and swelling in her legs. The doctor records her symptoms and inquires about her medical history. Gita (not her real name) acknowledges that after an unsatisfactory outpatient experience at a government-run facility, she also received ineffective treatments from an untrained local practitioner. She is feeling increasing physical discomfort, general weakness, and growing alarm about her situation. 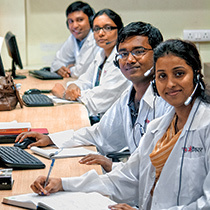 The scene is the Mumbai call center of MeraDoctor, a consultation-by-telephone business staffed 24 hours a day by eight licensed physicians. A for-profit company that charges subscribers a monthly fee of 100 rupees (about $2) for unlimited consultations for up to six household members, MeraDoctor seeks to fill a huge primary-care void in India. Only 10 percent of Indians have health insurance, 40 percent live on a dollar a day or less, and hundreds of millions do not have ready access to doctors or the government's beleaguered primary-care facilities. THE DOCTORS ARE IN: MeraDoctor physicians, on call. Because Gita's medical history and her symptoms suggest a heart problem, MeraDoctor ultimately recommends that she get an echocardiogram (for which she has to pay at a private facility because the government one is too crowded). The test reveals valvular heart disease. For MeraDoctor's cofounder, Dr. Ajay Nair, who received his medical training in India and a master's degree from the Harvard School of Public Health (HSPH), Gita's case demonstrates not only the importance of getting good primary care but also that patients are willing to pay for it. 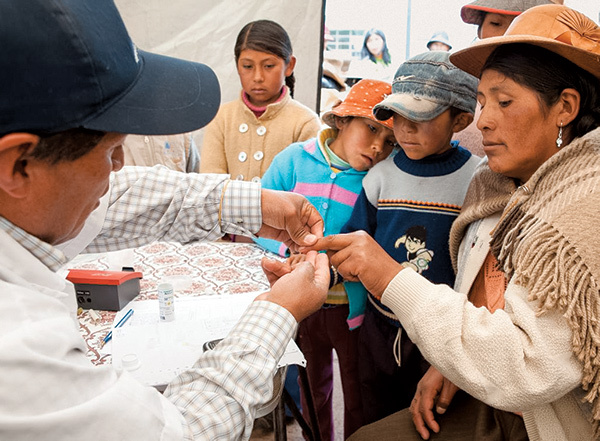 That willingness is key to the work of Antares (formerly known as Project Antares), a collaboration between HBS and HSPH that intends to use business and markets to break the perverse synergy between poverty and poor health. 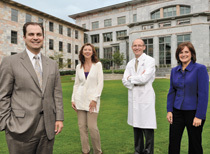 Says HSPH professor and Antares cofounder David Bloom, an economist who spent a 2011–2012 sabbatical year at HBS, "the mission of Antares is to harness the power of private enterprise to promote public health." As part of its research and educational activity, Antares deploys joint HBS and HSPH student field-study teams around the world to work with health products and services organizations like MeraDoctor (one of 14 organizations with which Antares has partnered). The goal is to significantly improve the delivery of such products and services by achieving a commercially robust, self-sustaining footing, thereby ensuring lasting social and economic impact. "Only business can provide the massive scale, permanence, and continuous efficacy and efficiency improvements that poverty-reduction initiatives must have to succeed," says Antares cofounder and HBS senior lecturer Michael Chu. Chu speaks from personal experience. After leaving a lucrative Wall Street career in private equity in 1993, he devoted himself to the then relatively obscure field of microfinance. 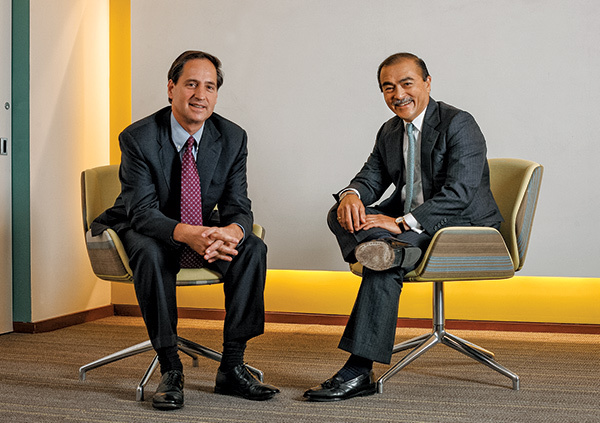 As the head of ACCION International, a global microfinance organization, Chu helped develop microfinance into a global weapon against poverty while establishing it as a legitimate component of commercial banking. BLOOM AND CHU: To achieve scale, efficiency, efficacy, and permanence, harness the power of private enterprise to advance the cause of public health. More than a business, Chu helped turn microfinance into an industry. The distinction is important, he argues. While foundations, governments, and NGOs all play significant roles in pioneering social-good organizations, such funding can never equal the dimensions of the challenge. When banks and other institutions took up microfinance as a profit-making opportunity and a legitimate part of the financial-services industry, this scale constraint was lifted. "Only when an economic activity generates above-average returns can it become an industry," says Chu, "and only an industry delivers the scale, sustainability, and competition that ensures an intervention reaches all those who need it, at the lowest price and in the shortest amount of time." Could a similar, market-driven approach be enlisted in the world's fight against disease and illness? As Chu notes, commerce is already deeply intertwined with health. "In the lowest-income countries," he explains, "76 percent of health spending is private, and 70 percent is out of pocket." Furthermore, the health services and products that poor people pay for are all too often inferior. Thus, making better health services and outcomes available for what the poor can pay—as with Gita—not only impacts their daily reality but may represent a "bottom-of-the-pyramid," high-potential market for business as well. Above all, the key is the delivery of solutions. As Chu says, "A product must be coupled with delivery to achieve impact, and delivery to the many is greatly enhanced if it can be commercial." 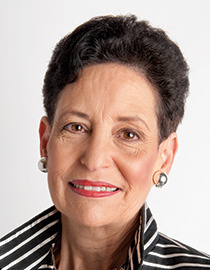 Roslyn Braeman Payne (MBA 1970), president of Jackson Street Partners in San Francisco, California, is the "angel" whose financial support launched Antares. "While supporting an AIDS-focused program in San Francisco," Payne explains, "I saw the expense of treating individuals after they've contracted an illness, compared with public health's cost-effective preventive approach. I realized that public health is all about policies, systems, and distribution on a wide scale. As an investor, I could see huge possibilities for leverage and impact, but where and how would I get the biggest bang for my buck?" 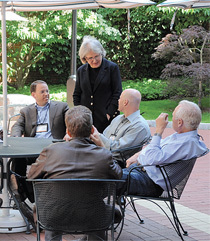 Payne talked over her ideas with HBS professor Howard Stevenson and HSPH Dean Barry Bloom (whom she calls Antares's "midwives"). They in turn brought together Chu and David Bloom (no relation to Barry), then chair of HSPH's Department of Global Health and Population. The two men hit it off and became a vibrant team. After much planning, with Payne's support and additional assistance from the Brinson Foundation, in 2007 Chu and Bloom launched the initiative they dubbed Antares (a star known for its brightness). 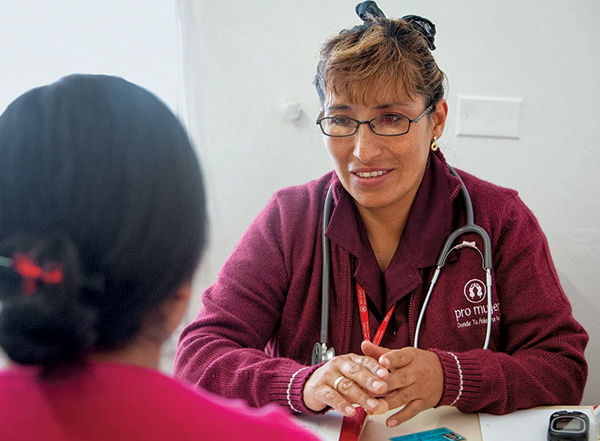 GOOD HEALTH: Pro Mujer's loan recipients are offered health services in a variety of settings as a voluntary part of their interactions with the organization. In the research realm, one of Antares's principal contributions is the Antares Matrix, a novel approach for setting priorities in health. The Matrix allows users—health officials, for example—to assign weights to traditional measures that define the scale of health problems, the impact of diseases on household income, the medical and social spillovers of disease onto other family and community members, and the cost-effectiveness of addressing a particular disease. This methodology produces a list of health priorities for any given country or region. Recently, the team has inputted data from India into the Matrix, and plans are under way to expand its application to other countries and areas within countries. In the education arena, through last year, Antares had engaged 88 students in 17 projects, spanning 11 countries in Latin America, Africa, Asia, and North America (in the Mississippi Delta). Teams of four to six students, evenly drawn from HBS and HSPH, take part in term-long field studies for credit, working with partner organizations to help improve existing businesses or to develop new ones. Each year, Antares carefully selects approximately three new organizations as field-study partners. 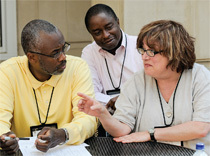 In addition to affecting partner organizations' business practices and students' intellectual and personal growth, the projects influence HBS and HSPH curricula. Chu and Bloom, for instance, lead an HBS-HSPH elective on social-impact investment that includes the Antares field studies, cotaught with HBS associate professor Shawn Cole and HBS professor Kash Rangan. 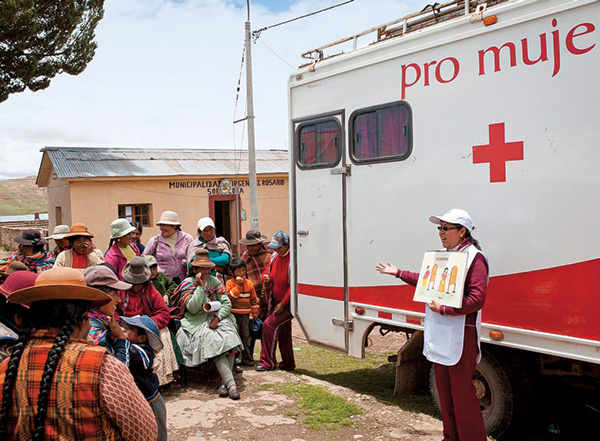 Antares's longest-term partner is Pro Mujer, a nonprofit NGO (unlike most of Antares's for-profit partners) that operates in five Latin American countries. 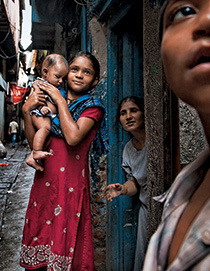 It combines microfinance with a primary health platform targeted toward low-income women. The Pro Mujer partnership demonstrates how Antares influences both organizations and student teams: Gabriela Salvador, an Argentine medical doctor pursuing an MPH degree at HSPH, was on the first Antares–Pro Mujer student team in 2008. She was named director of health and human development for Pro Mujer International in 2010. Jun Fukuyoshi (MBA 2008) was so inspired by his team experience with LiveWell Clinics, a chain of pharmacies and clinics for the underserved in Kenya, that he cofounded a start-up, CancerScan, in his native Japan, where only 20 percent of women over 40 were getting breast-cancer screenings. After contracting with a local public health department and delivering customized messages to different market segments, CancerScan tripled the number of screenings in its prefecture in six months. "Before Antares," says Fukuyoshi, who previously worked at Procter & Gamble, "I didn't know how much marketing could impact health care. That I could help save lives with skills I'd learned in business and at HBS has never stopped exciting me." Indeed, many students change the path of their careers as a result of Antares's impact. Says Bloom, "A striking number of our Antares students say their field study was the defining, transformative experience of their Harvard education." Adds Chu, "For me, education is about change. And Antares unquestionably changes students' lives." This spring, an HBS-HSPH student team is visiting Mumbai to consider how MeraDoctor can extend its reach to a broader segment of the population. It will examine alternative business models and explore the possibility of using paramedics for certain tasks. The aim is to better understand patients' needs and their ability and willingness to pay. Working with the students will be Terry Kramer (MBA 1986), a veteran telecom executive and current HBS Entrepreneur-in-Residence who was an adviser in 2011 to the first Antares team assigned to MeraDoctor. Serving as US ambassador for negotiations on a treaty governing international telecommunications, Kramer headed the US delegation to a world conference in Dubai in 2012. Says Roslyn Braeman Payne, "One of our goals is to bring in people who can add a specialized expertise to Antares's endeavors, and Terry has been terrific."